Interior and Exterior Doors: Tampa, Clearwater, St. Pete. If you need beautiful new doors for your home because distinction and exquisite detail doesn’t just roll off the assembly line, the clear choice is Gloger Construction. From our trusted source of manufacturers to our line of hardware and our own custom door accessories, we have the products to meet your specific needs. Gloger Construction installs interior and exterior doors from the top manufacturers in the industry. From wood doors, wrought iron doors, vinyl and fiberglass doors, steel and aluminum doors, we have the perfect choice for the entrance to your home as well as your interior doors. 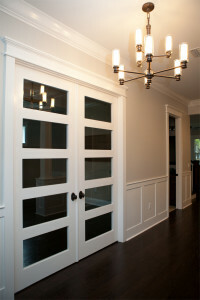 Our skilled craftsman can fit a door to your specific opening or customize a door to your specifications. Let us install the door that compliments the style of your home and adds overall value. Contact Gloger Construction Today!